Personally experience what makes the Bourbon trail so famous and visit 3 of the elite Bourbon Distilleries in Lexington Kentucky during this small-group day tour. 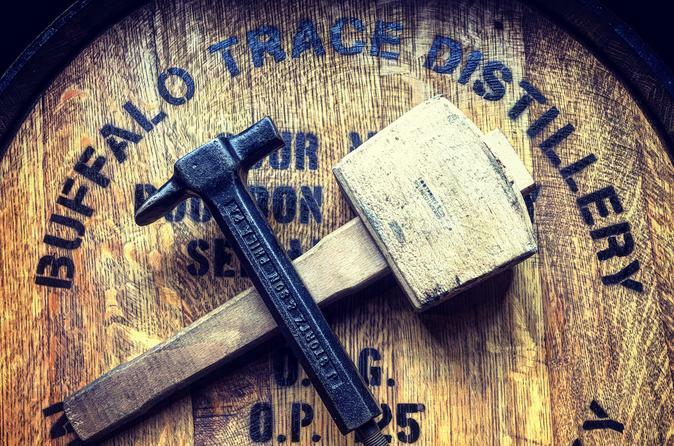 You will walk the hallowed grounds of Woodford Reserve, visit the incredible Barrels in the Rickhouse's of Buffalo Trace, and feel the passion portrayed at the Wild Turkey distillery. This tour is an incredible package as transportation and admissions into the distilleries is included, in addition to breakfast, lunch and tastings. Starting off at a central location in Lexington at 8:30 am, you will join your small-group up in a fresh customized shuttle bus. Then you will head to a locally owned breakfast shop called North Lime Coffee and Donuts. This shop is famous among the locals and will give you that home town feel. You will then head off to the first distillery of the day, Wild Turkey. Here you will go on a private "Exclusive" tour of the grounds. You will then head to Wallace Station, a locally owned deli created by famed Kentucky Chef Ouita Michel for an incredible lunch. After lunch, Woodford Reserve awaits just down the road in Versailles for your next stop. You will see the unique grounds of the famed distillery before sitting down for a unique tasting of their products. The last stop of the day will be at Buffalo Trace. Here, you will explore the rick-houses that store many amazing bourbons, including Pappy Van Winkle. Your expert guide/driver will provide commentary throughout the day to enhance your experience and upon returning, will recap your day and answer any questions you may have. The day ends back at the same location where your adventure started. Distilleries can be changed at the discretion of Bottled In Bond Tours. Switching distilleries will never happen unless absolutely necessary due to circumstances.